Yesterday (30th Nov 2013) saw a birthday party for my son, Xander, who recently turned 1, and my upcoming 40th birthday later in December. Our house was looking just a bit busy with people, and one room seemed to have become a soft play area whilst a bouncy castle arrived in the garden. Sadly the bouncy castle is not becoming a regular feature. 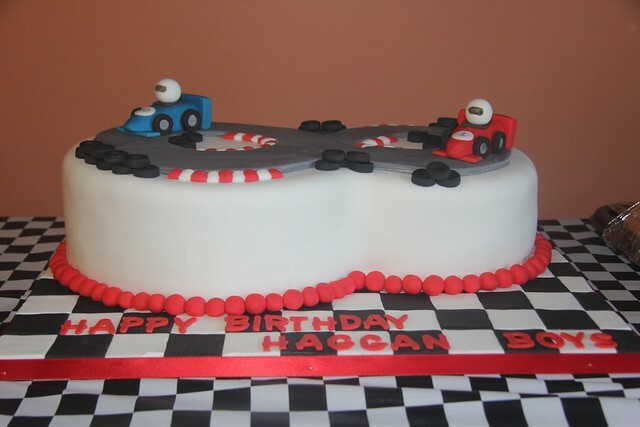 Given that Xander’s first year has included multiple visits to Donington Park to watch various motor racing events, and I am known to be partial to the odd bit of motorsport, then it seemed appropriate that this would be a theme for the party, and sure enough, there was a Formula One birthday cake, with car number 1 and car number 40…. Thanks to all those who came to celebrate with us, very much appreciated. Hopefully a good time was had by all. It certainly was by me and Xander! Family & Friends birthday, Cake, Family, Formula 1, Formula One. permalink.